Park City, Utah is host to some incredible events every year. Best known for the Sundance Film Festival and fantastic snow sports, you could be forgiven for not being aware of just how much there is to do in the town during the warmer months. But Park City is truly a versatile and culturally rich area, with art galleries, theater, equestrianism, golf, and entertainment to last you every day of the week. 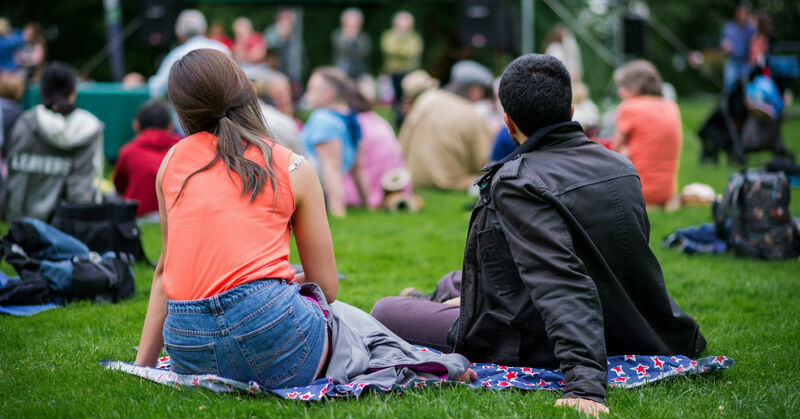 As we start to move away from the snowy weather of the past season and look forward to summer, outdoor concerts are being announced to much excitement and fanfare. If you are looking for some good times and awesome music in the next few months, here are some you need to check out. Probably the most well known and long running of the outdoor concert series, this festival is a tradition. Home to the Utah Symphony and Utah Opera, they provide classical, chamber and pop music concerts around various locations in Park City, including in their large outdoor amphitheater. Shows begin June 30 and run until August 11. The 2018 lineup includes Rachel Potter, Rick Springfield, Kristin Chenoweth and many others. Quickly become a huge event every year, the Grand Valley Bank Community Concert Series is a collection of outdoor shows at Deer Valley Resort. The first one starts June 30th with Triggers and Slips. Other shows include Sammy Brue, Take 5 and Troubadour 77. All shows are completely free and first come first serve for seats. More shows will be announced as the season draws closer, so keep an eye out! The Eccles Center For The Arts is home to their Big Stars, Bright Nights series, an exciting event that has had some incredible guest performances in the past. This year should prove to be just as impressive, though their lineup has yet to be announced. Last year’s shows included X Ambassadors, Melissa Etheridge, Smash Mouth, Five For Fighting and Aloe Blacc, to name a few. The newest series on this list, Dejoria has joined the fray and now offers their own outdoor summer events. Their free concerts begin July 21 with Better Off With The Blues. Other shows include Parlour Hounds, Triggers and Slips and Wayne Hoskins Band. Be sure to also check out their monthly First Friday events. Find out more about life in Park City at Jensen and Company.